This bee flies from the hive to the pod — in particular podcasting, and the world of professional podcasts and narration. Quality audio is essential to create a buzz with podcasts, and thanks to four proprietary, internally shockmounted 25 mm medium diaphragm capsules, the Beecaster delivers. 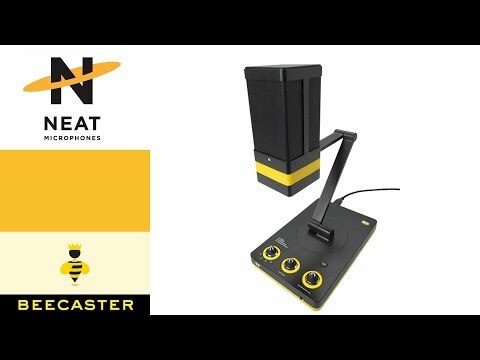 To cover all possible needs, Beecaster can shape your sound with four switchable sound pickup patterns — mono, stereo, wide stereo, and focused stereo.